Drama geeks and horror junkies know that “Little Shop of Horrors” is a musical true to its name. Released in 1982, it premiered in the surprisingly small Workshop of the Players’ Art Theatre of no more than 100 seats. This gave the first audience an intimate relationship with the gruesome story, likely disturbing some of the more squeamish members. The Urchins, played by Courtney Loner, Bethany Rowe and Jennifer Morse, start off the show with a musical number. 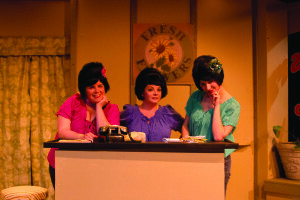 Onstage Atlanta is a local theater company with 43 years of history in Atlanta. Its main theater is similar to the space in which “Little Shop of Horrors” first premiered. As Managing Director Barry West explains, the initial concept of the space allowed for mutability, but the design changed over time. When “Little Shop of Horrors” opens at Onstage Atlanta, Scott Rousseau will portray Mr. Mushnik, the miserly flower shop owner. In theatre as well as in film, directors and actors have hugely different jobs and distinct responsibilities. Rousseau is glad to return to the stage and describes his mindset as a director and actor. In addition to managing director, West could claim the titles of set designer, producer, technician and countless more — he was in the midst of painting before his conversation with The Signal. West reveals his passion for all aspects of theater. Rousseau is also active in more ways the one. He explains his involvement in acquiring and managing a plant to use as a prop. Rousseau confirmed this strong mutual understanding. He explains the advantage of working with someone you know well as opposed to working with a relative stranger. Both West and Rousseau are quite fond of “Little Shop of Horrors.” The musical’s story features ordinary people in extraordinary circumstances. Alan Menken composed the music for “The Little Mermaid,” “Beauty and the Beast” and “Aladdin” among other Disney films. Most people have heard of “Little Shop of Horrors” but few know that the musical found inspiration in a B horror film from 1960. “It’s based on a movie that came out in the ‘60s by Roger Corman who was a horror producer,” Rousseau explained. He went on to describe the film in further detail and shared his take on the B film. To Rousseau, it made sense to create a musical adaptation of the film, despite its peculiarities. A subsequent film, based on the musical, was released in 1986. It features Bill Murray, Jim Belushi and Steve Martin. West explains the selection process that Onstage Atlanta uses to choose plays each season. He explains the hierarchy of authority involved in selecting plays for the theatre to adapt. The director sees each season of the theatre as a sort of play in and of itself. He suggests the possibility of combining popular and unpopular shows to create a season of repeated and novel experiences. Anyone seeking a broader horizon, as well as good music and a nice old-fashioned scare, should head out to Decatur, where Onstage Atlanta resides. Students can reserve a ticket for $17 or $20 at the door. 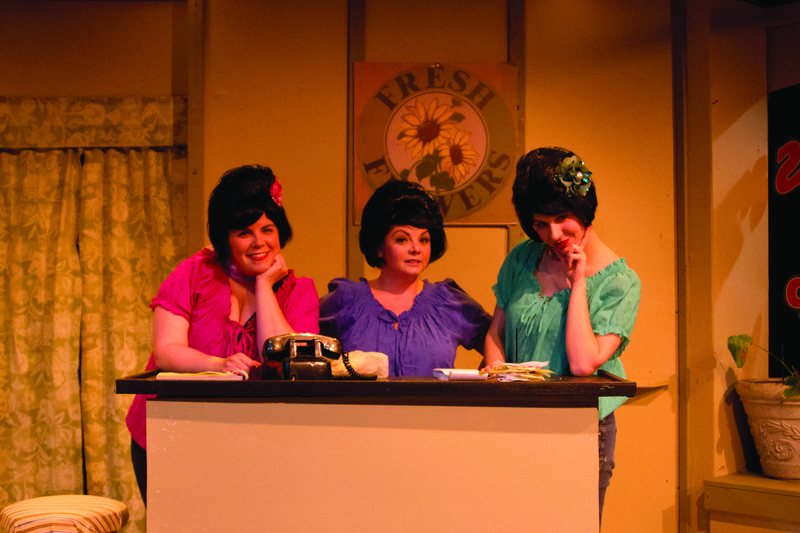 Shows take place on Fridays and Saturdays at 8 p.m. and Sundays at 3 p.m. “Little Shop of Horrors” will be performed until March 28.